The reverse repo rate adjusted to 6.25 per cent, and the marginal standing facility rate and the bank rate to 6.75 per cent. The RBI's Monetary Policy Committee, during its by-monthly meeting on Wednesday, increased the repo rate by 25 basis points to 6.5 per cent from the previous rate of 6.25 per cent. This is the second hike in the interest rate after four years of continuous halt by the central bank. This time too, the MPC again maintained the neutral stance to achieve the medium-term target for inflation of 4 per cent in a band of +/- 2 per cent. The MPC has noted that uncertainty around domestic inflation needs to be carefully monitored in the coming months. "Rising trade protectionism poses a grave risk to near-term and long-term global growth prospects by adversely impacting investment, disrupting global supply chains and hampering productivity. Geopolitical tensions and elevated oil prices continue to be the other sources of risk to global growth," stated the MPC. What caused the rate hike? "The main reason for increasing of the repo rate has been done to maintain the 4 per cent inflation target, a target from which we have been away for several months," said the RBI Governor. On the RBI's concern over the core inflation that is around 6 per cent, the RBI Governor said that the central bank's "mandate is to target the headline". "We look up at components but we focus on improving the overall headline. It's not just core inflation but many other components as well," said the RBI. The RBI has maintained that the global economic activity has maintained steam, and global growth has become uneven and risks to the outlook have increased with rising trade tensions. "Crude oil prices continue to be volatile and vulnerable to both upside and downside risks. There is some volatility in global financial markets. If the recent softening of global commodity prices persists, it could mitigate some of the upward pressure on input costs," said RBI Governor Urjit Patel. Meanwhile, the reverse repo rate has been adjusted to 6.25 per cent, and the marginal standing facility rate and the bank rate to 6.75 per cent. Economists and industry experts were expecting the RBI to hike repo rate by 25 basis points to keep a check on inflation numbers. It was also expected that despite the rate hike, the RBI could keep its policy stance 'neutral'. On the global trade war, the RBI Governor said: "We already have a few months of turbulence behind us and we think it would continue, and could lead to the currency war. We need to ensure macroeconomic stability and continue to maintain growth profile of 7.4 per cent. Many things are in our favour." On the growth outlook, the MPC said the progress of the monsoon so far and a sharper than the usual increase in MSPs of kharif crops is expected to boost rural demand by raising farmers' income. The central has also projected the GDP growth for first quarter of the next financial year at 2019-20 at 7.5 per cent. "The GDP growth projection for 2018-19 is retained, as in the June statement, at 7.4 per cent, ranging 7.5-7.6 per cent in H1 and 7.3-7.4 per cent in H2, with risks evenly balanced; GDP growth for Q1:2019-20 is projected at 7.5 per cent," the MPC stated. The government recently came out with a hike in the MSP for paddy by a record Rs 200 per quintal. "The increase in MSPs for kharif crops, which is much larger than the average increase seen in the past few years, will have a direct impact on food inflation and second round effects on headline inflation," said the Monetary Policy Committee. 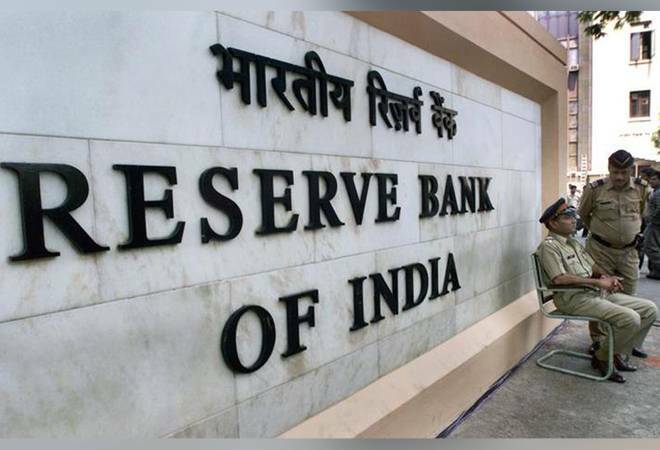 Of the total six members of the MPC, five members -- Chetan Ghate, Pami Dua, Michael Debabrata Patra, Viral V Acharya and Urjit R Patel -- voted in favour of the decision, while Ravindra H Dholakia voted against the decision to increase the repo rate. The repo rate is the rate at which banks borrow short term funds from the RBI. Meanwhile, the Sensex fell nearly 120 points to 37,440 after RBI policy decision but recovered later to trade around 50 points lower at 37,556 level.